Photo belongs to Jose Olivarez via "Citizen Illegal" Facebook page. Jose Olivarez, a Chicago native who recently published his book “Citizen Illegal,” lead a discussion about his book at NEIU on Nov. 6. In his book Olivarez writes a series of poems that deal with multiple topics, primarily those of Chicano pride and life as a first-generation immigrant. While Olivarez delves into the world of immigration and status, he also stops at times to bring in a sense of comedic relief, some of which are my favorite poems such as his “Mexican Heaven” series where Olivarez describes his version of a Mexican Heaven. Olivarez’s poems range from a serious tone to that of a comedic tone as he analyzes different aspects of his life. He touches on different feelings, ranging from being out of place in New York or that of professing his love towards cheese fries. When reading Olivarez’s poems, I thought that his poems were written as a result of a spur-of-the-moment decisions. But when taking a closer look at his poetry, I sensed that Olivarez thinks long and hard about his word choice. A strong example of this is the combination of the word Mexican and illegal as they juxtapose the words American and Citizen in the poem titled “Citizen Illegal,” or his strong usage of imagery. What really makes Olivarez’s poems memorable is the relatability found within them, even though his poems are about his own experiences. There were times when I was reading his poems that I had to stop and wonder if he was secretly spying on my life because they often reflected my own thoughts and beliefs. These coincidences started off small, like the fact that in his poems he argues that VapoRub is pronounced vah-po-ROO and that his family uses it as a cure all, even though the label clearly says that it’s for cough suppression. What really surprised me was his poem “I Tried to Be a Good Mexican Son.” In this poem, Olivarez struggles with the guilt that he feels for not living up to his mother’s dream of him studying law or becoming a doctor. He even feels guilty for not sharing or liking his mother’s Christ memes on Facebook. This poem was too real for me. I called my mom after reading the poem because his guilt became a part of my own for also not being a good Mexican son. Olivarez’s poems are not only relatable to Latinos as they can be relatable to any person, it just so happened that both of us were Mexican. 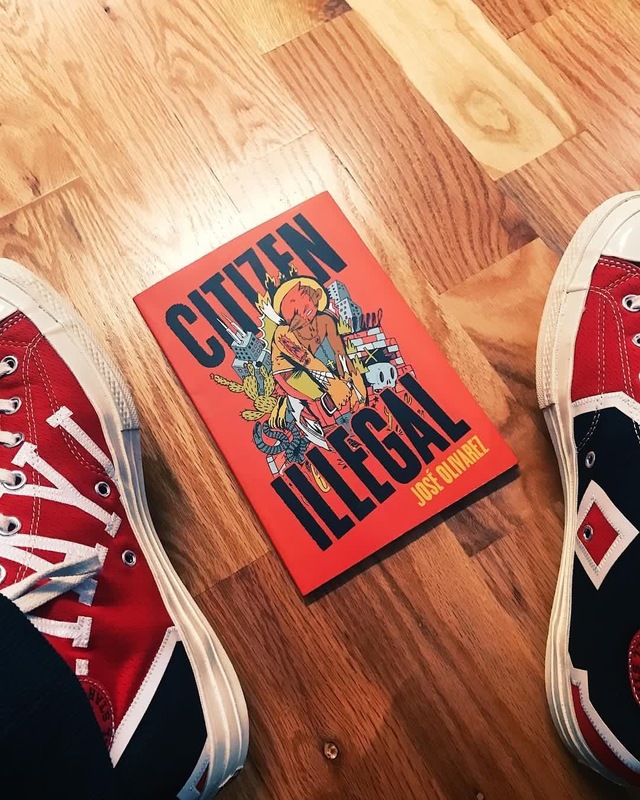 Olivarez’s “Citizen Illegal” is a great book; I really recommend reading it, not only because it’s a great read, but for its relatability. If anyone is interested in purchasing a copy of “Citizen Illegal,” Barnes and Noble offers the book for $10.67. Amazon offers the book for $11.00.